In need of a trusted spray tan applicator? The M-Tan Spray Tan Applicator is a versatile, reliable, quality applicator made by Fuji Spray, and Family Leisure is now selling it separately from the spray tanning systems. It comes equipped with a non-bleed trigger valve that reduces dust blowing, inaccuracy and messes during spray tans. The applciator can be used to blow-dry clients after the solution has been applied. Just pull the trigger lightly and only air will come out. 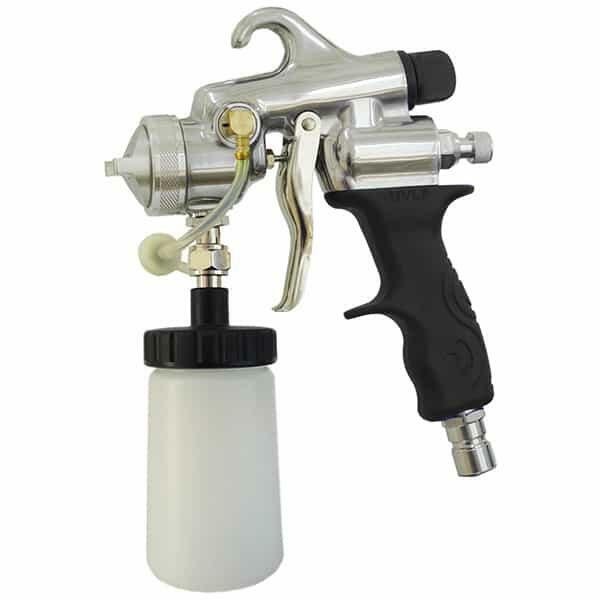 The spray pattern is a fan pattern that sprays a four-inch fan when the gun is six inches from the skin. Fuji Spray considers this the ideal spray size for ease and accuracy in spray tanning. For a smaller tan, move the gun closer or adjust the knob. Likewise, you can manually adjust the setting into a round pattern. The smaller setting is a 1/8-inch diameter and is perfect for intricate turns like abdominal shadows.